My grade-school daughter has a two-day break from her School (a four-day weekend for the little one!) as this is the time scheduled for the parent-student-teacher conferences. So I am off to spend some excellent quality time with my daughter. Perhaps we will go to the park. Perhaps I may even treat her to a trip to Larcomar and take her bowling. Perhaps we will play Mille Bornes. Perhaps she will call a classmate-friend and they will spend the day together. 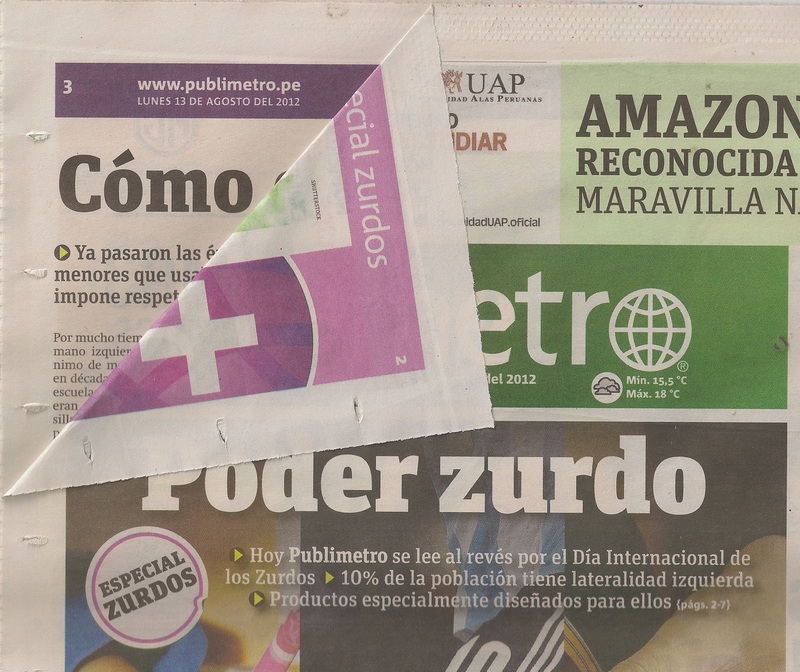 Regardless of her plans and mine, this post is a reminder to let you know that I have another Peru-based blog, Periodically, Peru, that you can read and enjoy. Taking a break from looking side-to-side can have its advantages and disadvantages. Sometimes, when I point my head skyward, I am able to see new and beautiful things (see here and here). Other times, I can become disoriented as evidenced by my story here. Today was one of those latter, disorienting days. I was outside enjoying the mid-afternoon Saturday air as the temperature began to cool as the sun made its way below the western horizon. 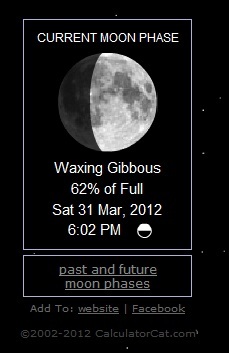 I looked up and, as I expected, saw the waxing gibbous moon. Sure enough, just a shade over half of the lunar face was lit up reflecting the rays of the Sun. However, the more I stared at our closest natural satellite, an odd sense of wrongness overcame me. Something, and I was hard pressed to put my foot on it, was wrong with what I was seeing. The picture below is what I saw. 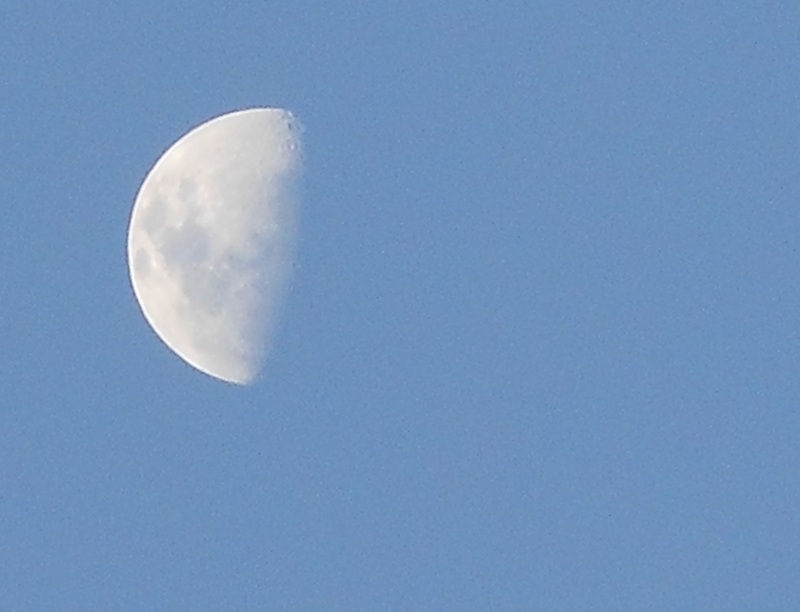 See if you can figure out what is different about this picture of the Moon a day after its first quarter phase. I will let you know that this image has been doctored or altered in any way. It is true WYSIWYG. I couldn’t figure out why the Moon looked wrong to me, so I went inside and accessed the Internet to assist me. Here is what I found when I did a search for the current phase of the Moon. I then realized what was wrong and here are four words I never thought I would ever utter, read, or write (outside of a science-fiction novel). For the first time in my life, I was looking at the Moon in the northern part of the sky. When I lived in the United States, I always lived above the Tropic of Cancer and so the Moon (and Sun) was always to the south of me. Now, the Moon was north of me and was upside-down. In addition to the new experiences of visiting Machu Picchu, exploring the Peruvian Amazon, and driving in the insane highways of Lima, I can now add seeing an upside-down Moon to my list of firsts. I wonder if people from Peru think Luna is upside-down when they travel to Canada.